Dr.Zheng is the executive director of SIAT-Institute of Biomedical and Health Engineering (IBHE), and director of Paul C. Lauterbur Research Centre for Biomedical Imaging. 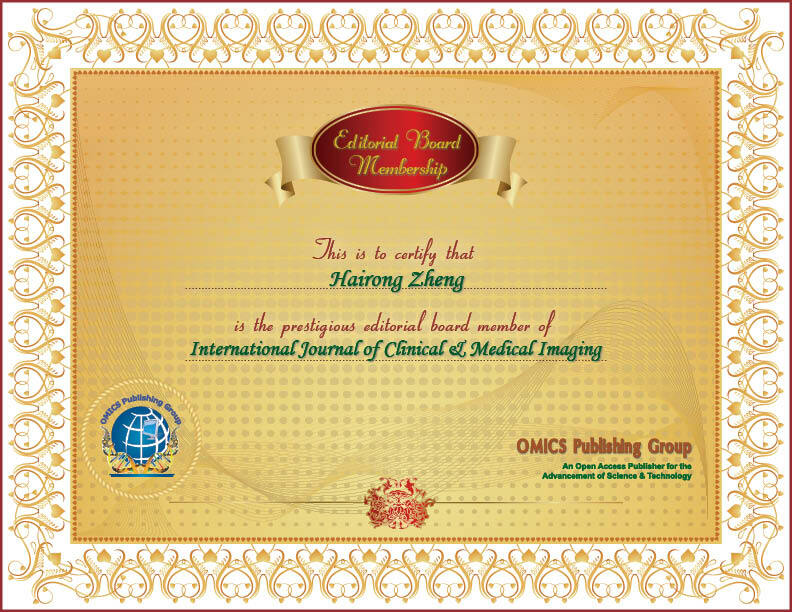 Dr.Zheng?s research areas focus on ultrasonics, ultrasonic theranotics and multimodality medical imaging. Dr. Zheng has published more than 100 peer-reviewed journal papers and international conference proceedings indexed by SCI/EI, and about 30 patents.� Dr. Zheng was a recipient of American Heart Association Pre-doctoral Fellowship (2005).He is principle investigator of special fund of pre-973 plan, special fund of Fundamental Research of Scientific Instruments, and major international joint research program of NSFC, et al.. Dr. Zheng is a senior member of IEEE, and serves as associate editor of IEEE Transaction on UFFC, member of IEEE-EMBS technique standard committee, editorial board member of Ultrasound in Medicine and Biology, and Physics in Medicine and Biology, the chairman of IEEE Shenzhen Chapter.